Tupac was adored by many. This hoodie aims to showcase the impact he had on many people. He might be gone, but his music lives on. 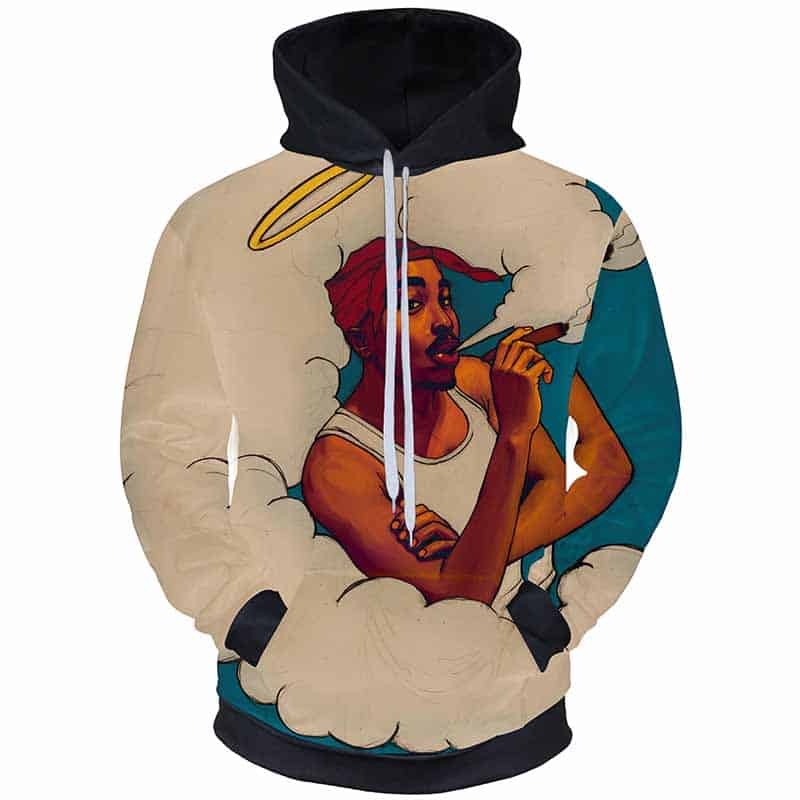 This Angel Tupac Hoodie features an image of Tupac smoking a blunt in heaven with a halo hovering above his head. The hoodie is comfortable to wear, looks fashionable and is wearable anywhere. It was designed for both male and female.